Adelaide have a quite a few options for a beach wedding. There is Glenelg beach but that is often busy - the jetty is great though. Hallett Cove beach is more secluded and has many polished looking rocks along the coast line. Brighton Beach has a jetty and is a clean, scenic beach for weddings. All along the south coast and midcoast there are beaches that would be suitable for a beach couple. This photograph features a beach wedding day that was the wettest, windiest I have ever photographed. I had to keep cleaning my lens from the sand and rain that kept flying at my camera. You wouldn't know it was so wet and cold from this wedding portrait except for the veil which the groom held down with his elbow so it wouldn't fly away! The couple were so awesome you would have thought it was a sunny, spring day - they took everything in their stride! The bride really wanted a sunny, perfect day for a beach ceremony but it obviously wasn't meant to be and instead they said their heartfelt vows to each other in the yacht clubrooms. They decorated the beach club rooms nicely and with excited guests to cheer them on, this couple had a fabulous wedding day and have a unique story to tell for years to come. While the storm raged outside, we were safe in the warm wedding reception venue just down the road from the beach. Not only was this the wettest, windiest wedding I have been to but there was more laughter from the best man's speech than I have ever experienced before too! We were able to get many fabulous, fun photos of guest bent over in laughter which always makes for happy feels as you look through your wedding portfolio in years to come! The bride has subsequently set up a pre-loved bridal gown shop in Perth called Little Bird Bridal where she sells all things bridal including bridal gowns, mother of the bride dresses, bridesmaids dresses, veils and bridal jewellery. 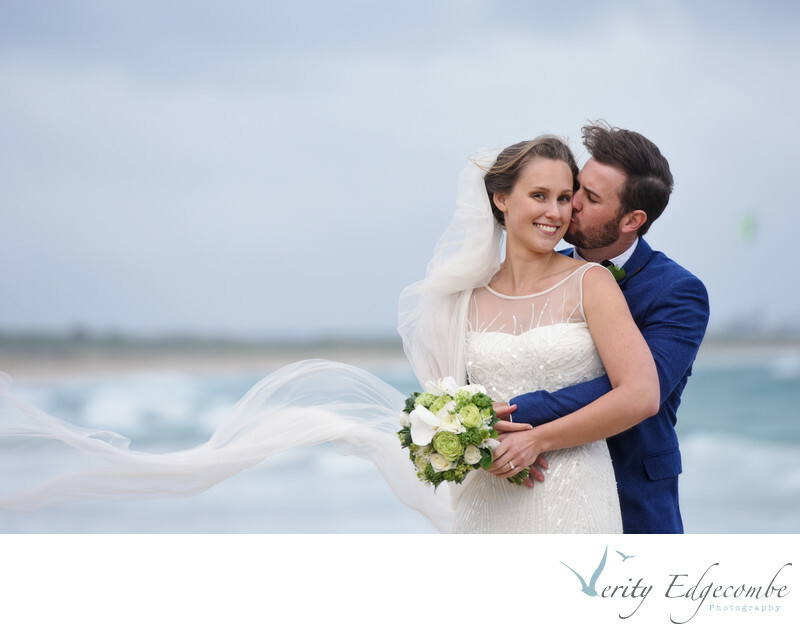 For more information about Verity Edgecombe Photography click here. Location: Glenelg, Adelaide, South Australia.